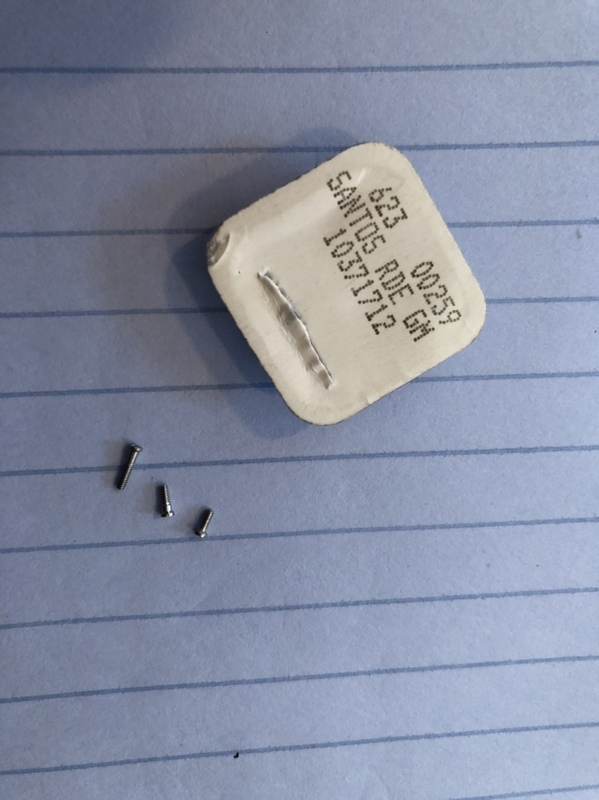 Looking to see if anyone out there has the bezel screws for the new Santos, very possible that other Santos bezel screws will fit as well from older models. I found a site with GEN parts, hands dials, crowns and screws, though not super expensive a little more than I wanted to spend. Looks like you could MOD these watches for a fraction of what most watch mods cost. I saw you picked up a gen strap in some other thread... where did you get it? cheers! Hey, can you please share the source/link? Found only one on eBay, none on any GEN forum, quick look on watchrecon.com had no results either. 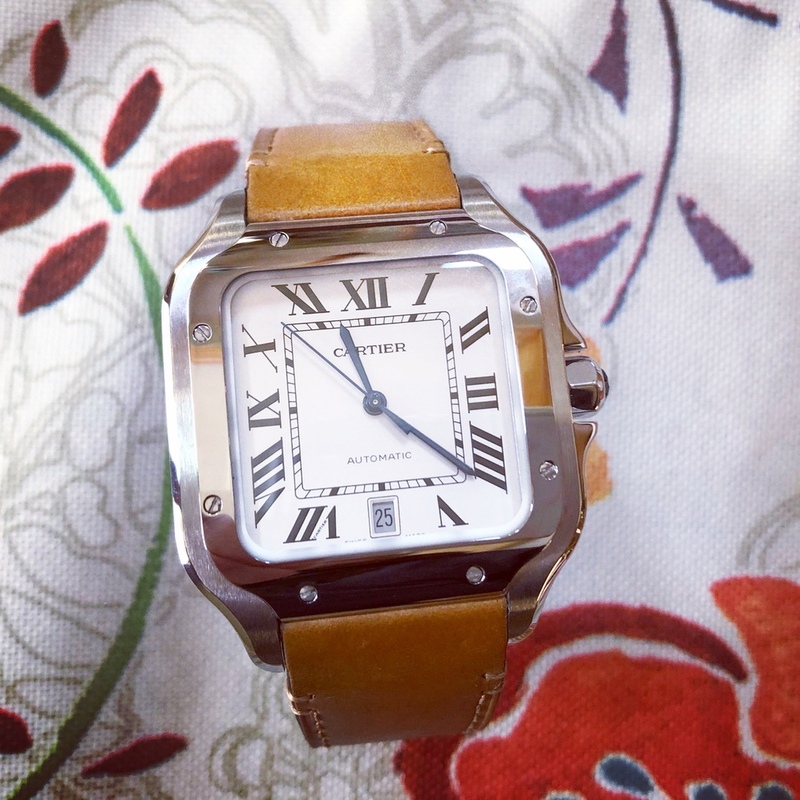 The gent on eBay was a fellow watch guy with a passion for Cartier and was selling his GEN Santos with a couple of straps and a brcaelet and selling the brand new strap separately. pretty sure the site is watchrepairny, i was looking for the same thing myself for when the medium size eventually becomes available on bracelet. anyone know if the screws are the same size throughout the two sizes? they say they wont fit the santos 100XL but nothing about the medium. Hi brother! how's the land of Sunshine treating you? I'm good...took a break after our melt down here that turned into more of a hibernation than a break. I cannot believe none has a spare screw given I got a lose screw HA HA! Tried reaching out to kobe24 in hopes... Try watchrepairny out of NYC as they are the ONLY place I know with Cartier parts. That is the site, I ordered the pack of 8 since one screw was $30 and 8 were $79.00 I will find out if they work with the new Santos bezel ...My best guess is the screws used between the REP Large/Med are the same keep in mind we have Kor & V6F though. I'll post back here when I know....wish someone had one lose rep screw available, would have been easy to correct. BLUE loctite for all when I get this sorted. The GEN screws at 12 & 6 and 9 & 3 all match in design just length differs. The rep 12 & 6 set appears to be incorrect in design, though at least are nice and flat unlike the rounded ones used all over the KOR version of this watch. 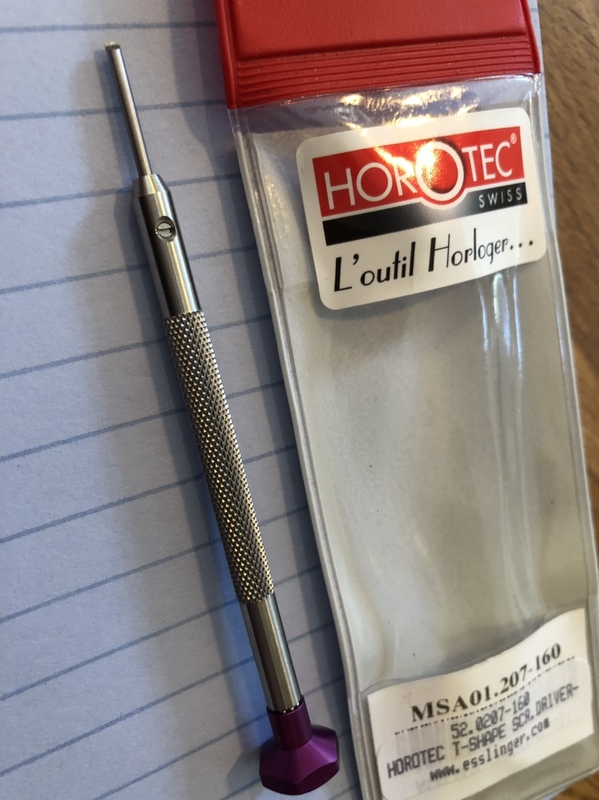 I used blue loctite on each threading and my tools were a pair of watch specific tweezers and a Wiha German screw driver and one by Horotec, notice the tip design allows for a flat level surface. Sounds great! Thanks for the update.